There are some fashion ideas that will never die, even with regards to grooms’ fashion. While women may put infinitely more effort into looking their best for the big day, they don’t have to worry if men want to break some of these rules while trying to put a more personal spin on their ensemble. In fact, you don’t have to wear a tuxedo or a bow tie at all if that’s not your vibe. 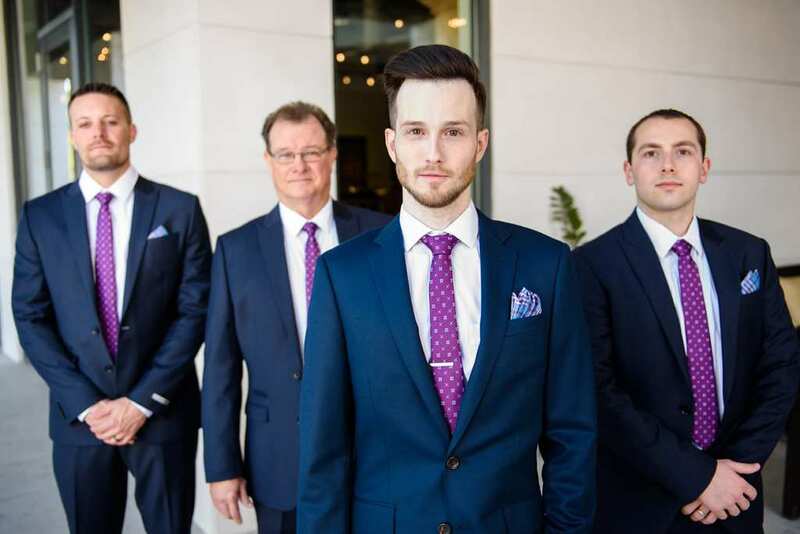 These days, the line between tuxedos and suits blur together even more, so if the groom likes the look and feel of a suit better, then that’s what he should wear. He can also spring for a colored tux, which can look just as chic as the classic. 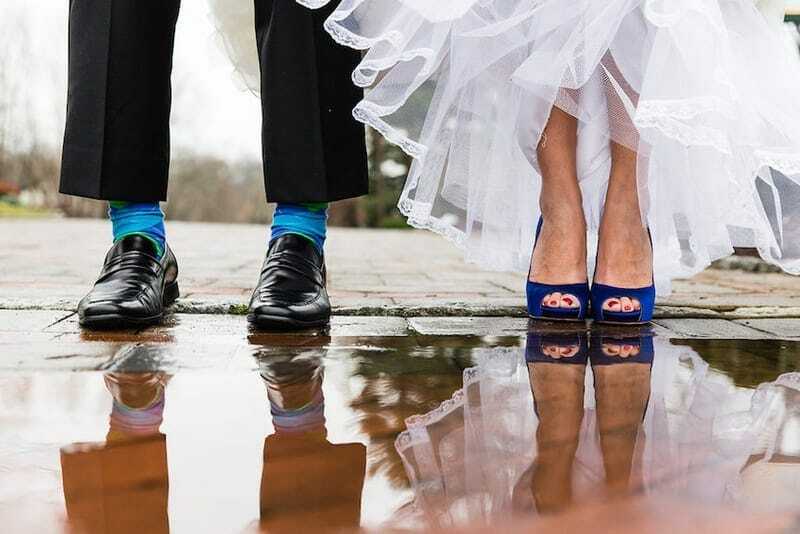 Socks may seem like an afterthought when it comes to wedding attire, but its likely both the bride and groom just expect that the groom will wear socks that match his pants. For his big day, it can add a real bit of fun to the groom’s outfit if he chooses a funky pair of socks to go with his suit. 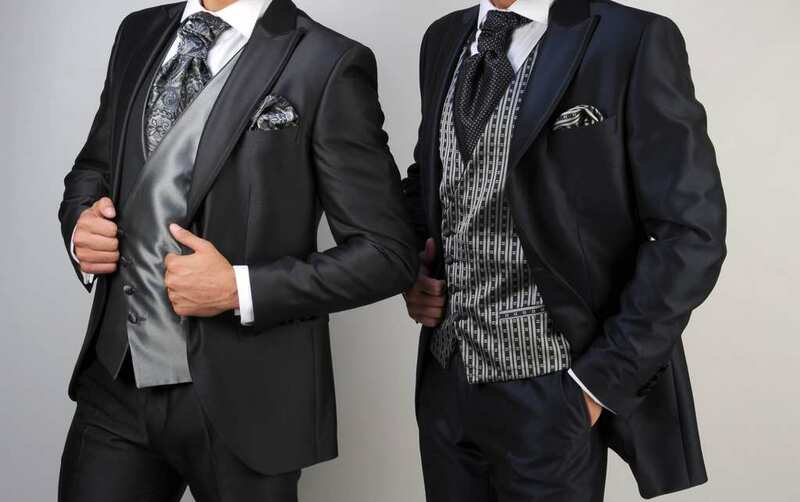 There are plenty of great suits and tuxes available that will make the groom look fantastic without breaking the bank. There are much better ways to spend your money than blowing it on a million dollar suit. Furthermore, if the groom isn’t the fancy type, it may even be worth it to rent something. 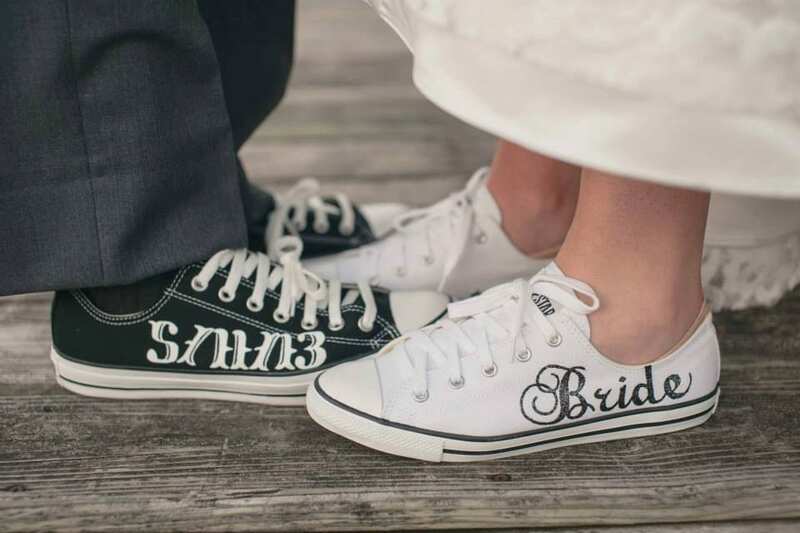 Grooms don’t need to be limited to uncomfortable dress shoes only. Many guys may want to wear sneakers for maximum comfort. A snazzy pair of kicks is a great way for a man to show off his own style while also increasing his comfort.